Style 742 is part of Blundstone's range of Womens Work Shoes. Designed specifically for the female foot they are suitable for work in a many industries. 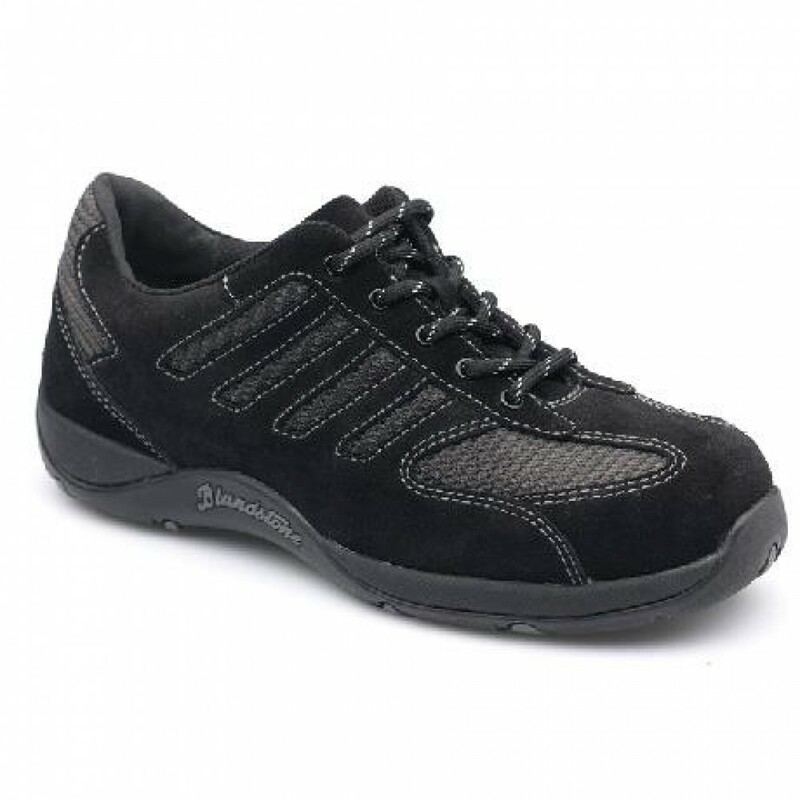 Black suede leather lace up safety shoe with mesh inserts. Fully removable PU cushion footbed with Poron® XRD™ impact absorption pad. 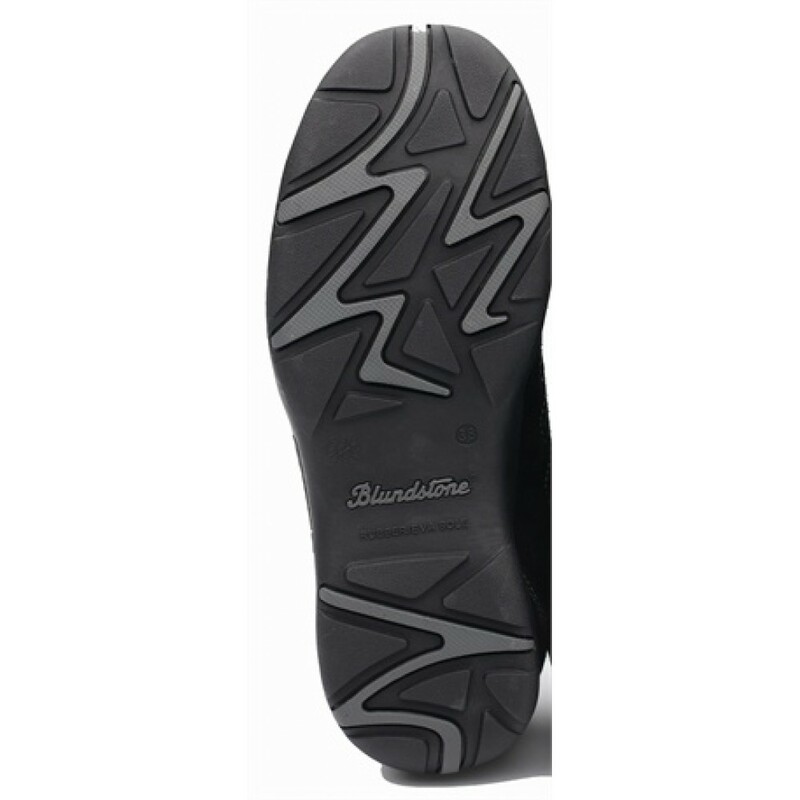 Rubber outsole - increases cut and slip resistance and is impervious to hydrolysis. Outsole heat resistant to 140°C. Cushioning EVA midsole with Poron® XRD™ heel impact absorption zone - EVA creates comfort in a truly lightweight safety shoe. ASTM F2413-11 including electrical shock resistance (Clause 5.5). 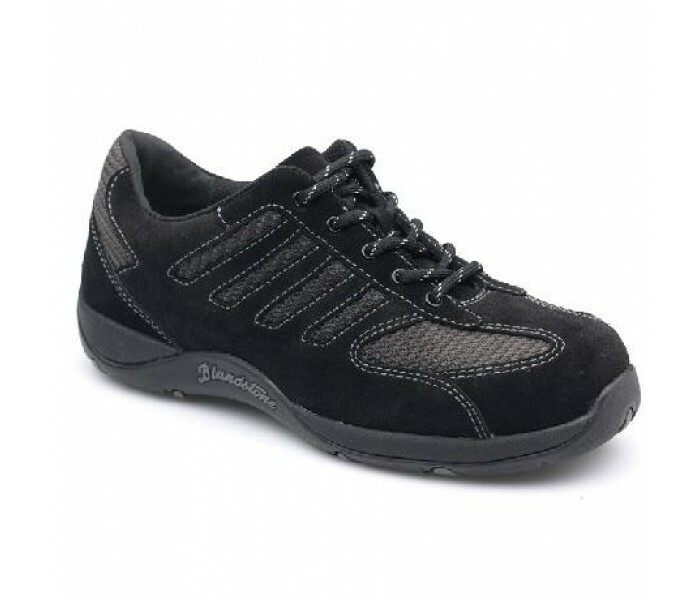 Certified to Standard AS/NZS 2210.3:2009 Footwear protection compliant.